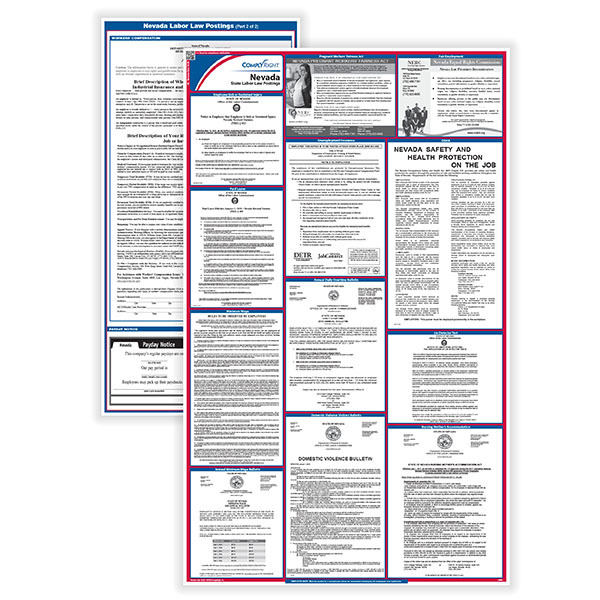 Comply with Nevada state labor laws with the all-in-one poster solution from ComplyRight. 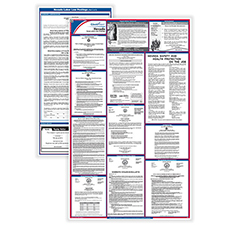 The state poster provides worry-free compliance for your state in a convenient laminated design with the exact size, type fonts and layout of the official government postings. Large poster size - 24" x 37"
Separate state poster sizes - 8.5" x 14"